Adderall abuse recently came to my attention. While Motel 6’s methamphetamine habits certainly are interesting, we’re at sixes and sevens when it comes to Adderall. 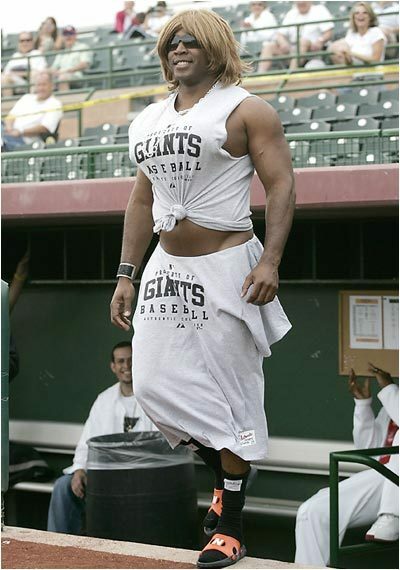 Adderall enhances brain power the way steriods amped up Barry Bonds home-run hitting. 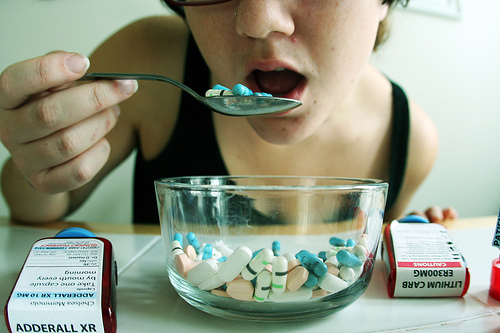 With Adderall, how are we going to be able to tell the smart people from the stupid ones? I have a solution. I suggest that, from now on, if someone says or does something particularly intelligent, that person immediately must produce a urine sample. The danger of Adderall came to my attention on account of a letter my snooty pants college-professor brother-in-law wrote. It was a heartfelt epistle revealing a lifetime of Adderall addiction. 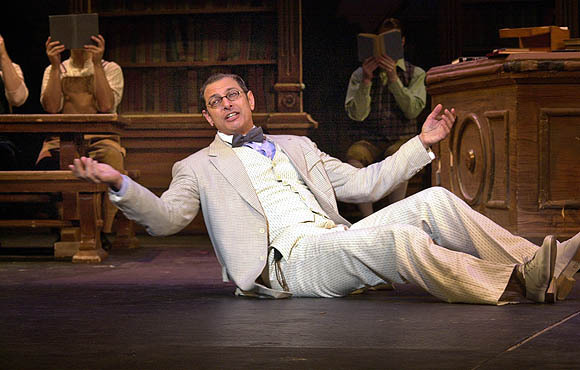 My brother-in-law, Professor Harold Hill, teaches literature at the local university, the University of Norflaland. “I started taking Adderall in the first grade. It was easy to find—there was always some kid in my class selling his or her prescription tablets. I went to one of the most rigorous elementary schools among the Duval County Public Schools—Hendricks—where we were always getting ready to take the FCAT. This is an experience upon which I look back as having been somewhat traumatic. “I remember the first time—I must have been seven—that I took a 20mg Adderall after having stayed up all night, preparing for the FCAT. Throughout the entire next day, I didn’t eat or even think about the fact that I hadn’t slept in over 24 hours. Adderall made a big difference. I earned the top score on the FCAT. After that I started taking it every day for the rest of first grade. Story time became captivating. During recess (they had recess back then), I accomplished incredible feats playing dodge ball. But nap time was a wash—I didn’t sleep a wink. With my peers I was engaged, on-point, and honestly somewhat buzzed throughout reading and arithmetic. “Adderall brings on something similar to the adrenaline-induced throat burn that I experienced much later doing cocaine. 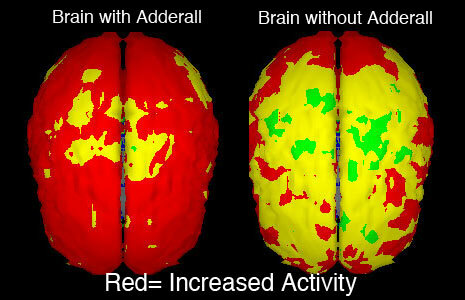 And really, how telling is it that the closest experiential comparison to Adderall is that of doing cocaine? Anyway, I took Adderall all the way through to middle school, the entire time I was at Landon, then the entire time I was at Stanton (of course), where (of course, again) I graduated with honors. Did I use the drug to study for the SAT and ACT? Did Putin approve of torture when head of the KGB? “I aced both tests, but I could not have not taken Adderall because by then I had been taking it every day, multiple times per day, for years. “Then I got into an Ivy League college—on an academic scholarship, of course—and aced every course there except advanced chemistry. I failed that course when I tried to stop using Adderall. .
“It was failing the advanced chem course, in fact, that drove me to study literature. And of course I graduated from the Ivy. With honors. It was getting ridiculous, just as back in February of this year, Adele said it was “ridiculous” winning 6 grammies. “Got a good job, and became an adult. “And you know what? 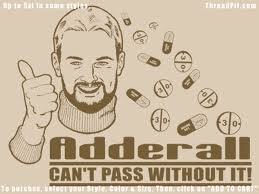 I still do Adderall all the time. I have no prescription, I simply buy it from people who have been selling their prescriptions for years. 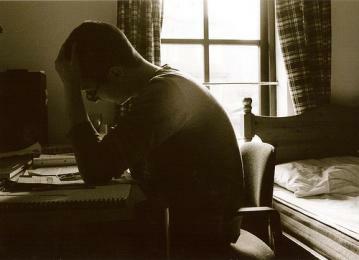 Perhaps because of Adderall, I am thought of as an energetic, engaged, and successful academic. Or perhaps it doesn’t have any thing to do with the amphetamines. But my realization these days is that work is hard, tedious, and stressful, so if a pill makes my workday more tolerable, then I am going to take it. Isn’t this letter sad? No wonder he’s a liberal! Conservatives are happier than liberals. Everyone knows that. Even the liberal New York Times says so. According to the NY Times, I am the happiest of all. But why are liberals unhappy? It’s a chicken-and-egg thing. Are they unhappy because they become drug addicts, and in their bitterness turn to liberalism in a desperate attempt to make their lives have meaning? Or is it because they have liberal tendencies to begin with, are willing to experiment with drugs, then wind up addicted? Either way, it’s pathetic. I don’t know if we will ever have an answer to this conundrum. In any case, I do feel sorry for my brother-in-law, even if he is a smarty pants. All I know is, I’ll never have the Adderall problem. It’s a drug I’d never consider taking. Now, as for methamphetamine, I hear that drug makes you feel REEEAAALLL good. I’m going to have to find out about it for myself. I just may have to head over to a Motel 6 and see if it’s the drug for me..